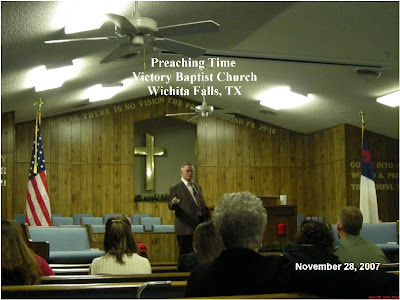 Last Wednesday night, my hubby had the chance to preach in our church. Our pastor and his wife are in Ohio right now and he designated some people to preach while he is away. Fortunately my hubby is one of those he designated to preach. I was so excited to hear my hubby preach again. It's been a while since the last time he preached. While he was up there in the pulpit I was busy praying for him. I prayed that God would give him heavenly wisdom to bring his message in the church. Our service went well and hubby delivered his message that God wanted him to preach. I praised and thanked God because it's a great honor and privilege for my hubby just to stand up there and preach the Word of God.